The Irish Times journalist writes passionately about the support from her girlfriend and the upcoming marriage equality referendum. JOURNALIST UNA MULLALLY has spoken out about her recent cancer diagnosis in today’s Irish Times. Her honest and moving account of how doctors discovered a tumour also focused on the importance of being treated equally as a gay woman in today’s Ireland. The 32-year-old journalist recounts how she stuttered when telling the nurse her next of kin was her partner Sarah. “I go on the radio and television to talk about gay rights. Yet I still stuttered to a nurse when I said ‘girlfriend’,” she wrote. What am I like? I guess it’s hard to accept yourself when your country doesn’t. Her revelation has fostered a huge reaction on Twitter with supporters wishing her well. @UnaMullally Sorry to read that you're unwell, Una. Very best of luck with the treatment. Mullally writes that she has Stage 3 cancer which is not terminal. She has started treatment but that there is a “long road” ahead. A passionate campaigner for marriage equality, Mullally said the upcoming referendum has been “a good distraction”. Mullally said her partner has been by her side through the recent bad news, and they are just like any other couple. From all of us here at TheJournal.ie, we would like to wish Una a speedy recovery. 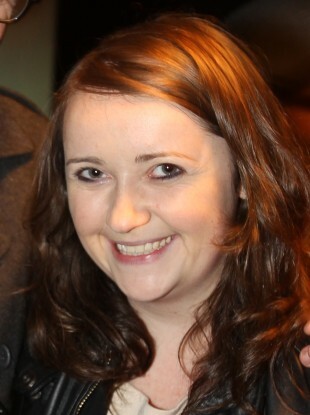 Email “Huge outpouring of support as Irish Times journalist Una Mullally reveals cancer diagnosis”. Feedback on “Huge outpouring of support as Irish Times journalist Una Mullally reveals cancer diagnosis”.